As you know, I am totally obsessed with lipstick and very rarely seen without my lipstick on so you could say lipstick is my vice. 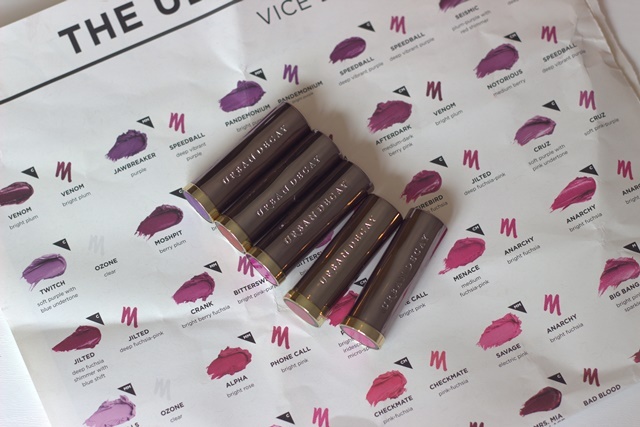 If you are as lipstick obsessed as I am or even if you are not as it is hard to miss but Urban Decay recently launched their Vice Lipstick collection. Consisting of 100 shades over six different finishes, every shade has a name from barely there nudes to deep dark sultry shades. I love the luxury packaging that is still true to the Urban Decay brand, it also looks indestructible and fierce! I have mentioned a couple of times before but I really love embossed branding on lipsticks especially. A lot of thought has also gone into the shade labels which have been precisely colour matched by shade and even finish. Making it easier to spot your shade when shopping, choosing a shade from your collection or just to find it in your makeup bag. I love the shades I have here, straight off I could tell that Backtalk was going to be my favourite let alone the hero shade for this collection. I also love 714, a great shade of red in a gorgeous matte finish which is just what I needed! I was pleasantly surprised by Big Bang which looks very glittery, it is toned down once it is on the lips and the pigmentation is fab! You can see me trying on all the above shades and talking about them in more detail in my video below. 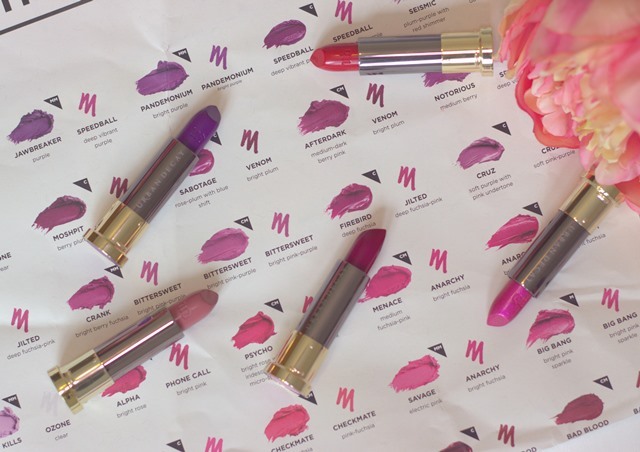 Launching 100 shades of lipsticks in one day is not an easy task and I think Urban decay has done it so well. No one can complain that they cannot find their shade! 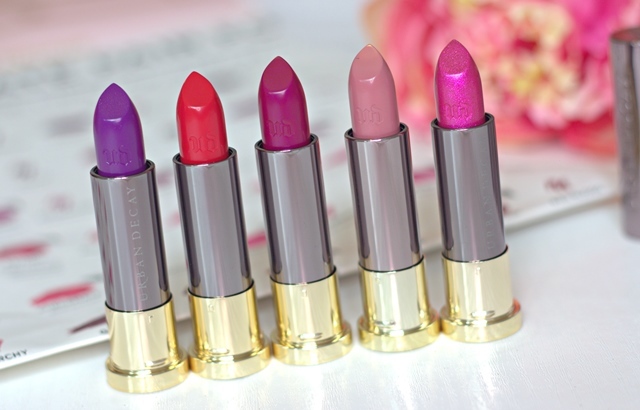 I am absolutely loving the launch of the Vice Lipsticks, from the packaging to the application I think these are fabulous! Am I ignoring the reference to the ‘shotgun shell’? Yes I am. 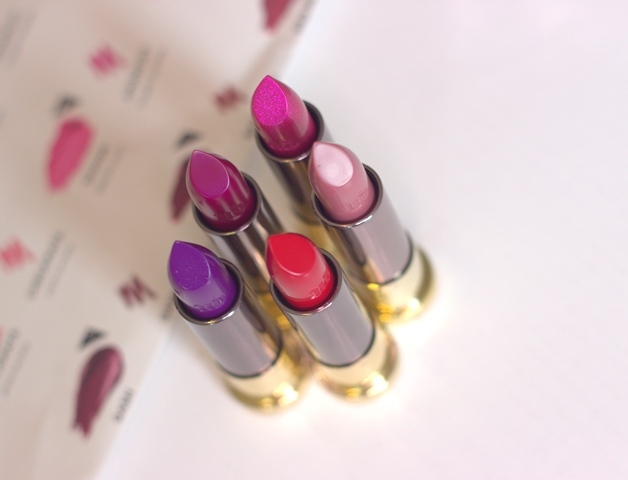 I think in this case the Vice Lipsticks are so great we can ignore any negative references. 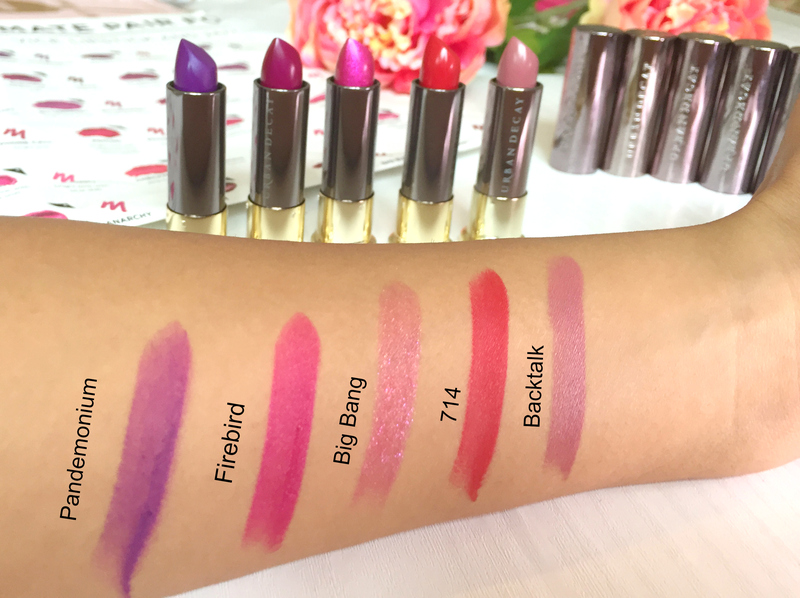 There are also 50 new shades in the 24/7 Glide on lip pencils to match the Vice Lipsticks. I have not tried them yet, but we all know how I feel about the 24/7 glide ons in general so they must be good! 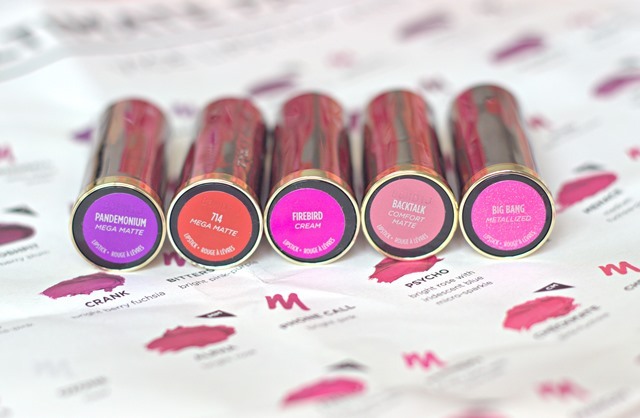 I love this post – those are amazing photos and these lipsticks look awesome!